Copyright: The participant retains all copyright for their images. Any image used by the Mira Mobile Prizewill be properly identified and credited to its author. Images may be used in publications and/or promotional material. There is no culture without the concept of party. Public celebrations, private parties, intimate get-togethers that that break up the disciplined organization of everyday life, providing moments of celebration associated with contemplation, hapiness and joy. 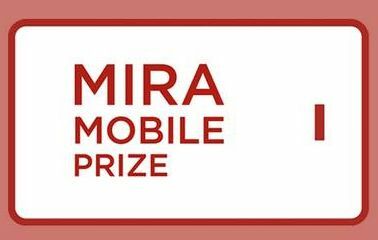 The winner of the MIRA Mobile Prize receives a week in Porto (six days, five nights, including accomodation and food) and a return trip from any European capital. The 50 photographs that will constitute the short-list will be exhibited at the MIRA Forum, to be launched on the 6th of September. Participants may submit up to three digital pictures by email. Image requirements: All images must be taken and edited on some sort of mobile communication device (tablets, smartphones or mobile phones; all operating systems are allowed). Photos may only be edited using software available on a mobile device; jpeg format; 640 pixeis on the larger side; from 100kb and smaller than 7MB in file size.